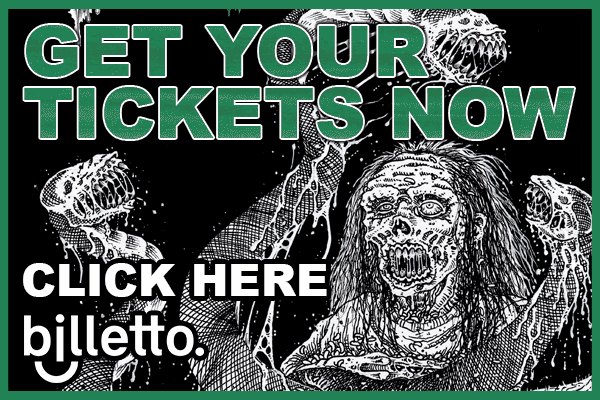 Killtown Death Fest » Annoncement #16: CEMETERY URN (aus)!!! Annoncement #16: CEMETERY URN (aus)!!! Tonight we have the pleasure of presenting one of Australia’s most obscene death metal bands to Europe for the first time ever. With a 12 year long history behind them its finally time to unleash their wrath upon Europe. 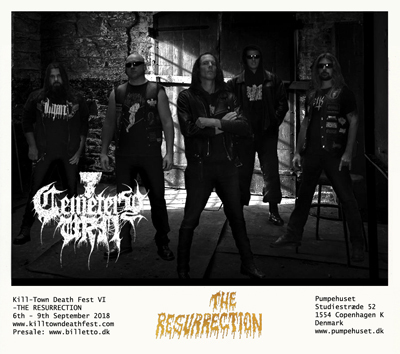 We are proud to present the first European performance ever of CEMETERY URN at KTDF 2018!!! Formed in 2006 in Melbourne Australia, Cemetery Urn specializes in a vicious bestial form of Death Metal they’ve branded ‘Australian barbaric death metal’. The band itself is deeply rooted and has a long history in Australian extreme metal with current members involved in bands such as Abominator, Ignivomous, Bestial Warlust, Belligerent Intent, to name a few. Currently signed to Hell’s Headbangers Records, the band has released 3 full-length albums to date – the latest one in 2017, a ten track nuclear warhead titled ‘Cemetery Urn’ and will be releasing a new full-length album in mid-2018. The band has played numerous tours and festival performances across Asia and North America and in September/October 2018 they will hit Europe in support of both new releases.